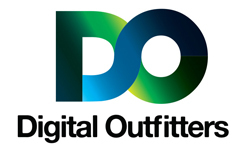 Our goal at Digital Outfitters, is to provide measurable results for our customers using a width of services and depth of experience. Each company we work with requires specific techniques and tactics to get their business to perform well online, especially in competitive markets and industries. For each of the values in our Competitive Analysis, we run through the same factors for your competition. Using your competition as a yardstick to show how/where you need to continue to grow to remain competitive in your industry. For more information, fill out the form below – and we’ll be in touch soon with the results of your competitive analysis. For the past couple years, i’ve been trying to go back to my roots in graphic design – especially in the area of logo design for small businesses. I think that there are far too many bad logos out there. If you take a look around as you’re driving to work, or to get groceries – pay attention to the signs outside of businesses. Take a gander at the small pizza places, the deli’s, the laundromats. More often than not, you’ll see a lot of text-based typography, with the business name printed out in basic lettering – without any attention paid to the style or feeling that they are trying to convey to their customers. It’s costing you way more! I don’t doubt that you will be frustrated when the competitor down the street opens their doors with a fancy new logo, bright – attention grabbing colors, and a remarkable sign that starts stealing your customers. So… why don’t you become that awesome business? This whole world is full of checks and balances, and if you don’t go out and start taking some of those customers – you are basically giving them to your competition. They aren’t going to beat a path to your door without some sort of motivation. Step up, get a new style, get their attention – and start being the company you wouldn’t want to compete with! When you use a search engine to display the results of your question (for example – when you type a question into Google – and what is listed on the screen after you press enter), there will be some results that aren’t ‘naturally’ there – but are branded as ‘Advertisement’. Go to Google, and search for a product or service, such as “doctor in my area” – or something similar. On your screen – you’ll see the advertisements (3 of them) across the top, as they must pay for that position in the search results. Before you ask, the price varies wildly. Some searches are relatively inexpensive – due to the low average search volume and low level of competition. Some search terms are HIGHLY competitive (such as real estate agents, lawyers, and doctors), and have a very high search volume – so the price skyrockets accordingly. If you could be the #1 lawyer in search engines, you have a much higher chance of being clicked on. As the metrics show, nearly 60% of clicks from search engine results go to one of the first 3 “organic” websites listed. Wait… What does Organic mean? Search results are broken out into several separate categories, but I’ll only explain the top three in this book. The categories are established to explain what type of ‘link’ a search engine result is displaying. An organic link is the most natural way to draw in website visitors, and takes the longest to establish. When your website shows up towards the top of search engine results – it is the result of a lot of hard work, length of time the website has been online, and many, MANY other factors. Since the website took a lot of work to show up ‘organically’ – it also takes a long time for the link to disappear once the work is stopped. If you stop working on search engine optimization (see previous chapter) – the link will remain in place for quite a while, instead of dropping off the face of the planet overnight. These links are very ‘honorable’ links, and when shown in search results – they let the person viewing the search results know that the link they are about to click on is legitimate, and isn’t trying to ‘fool’ someone into visiting their website. All organic results are subject to the rules and ‘regulations’ of the search engine itself – so in Google’s case, if you’ve ranked highly on their website – you’ve gained a token of respect from them – and they’ve brought your website higher in their ranks. These links are based on a reference from another source. Either a paid advertisement link, a link from a social network, or an advertisement on a third-party website. This link is based on the amount of worth you can find in the “linking source” material. Imagine you want to pay for a link on your local newspaper website for your services. Chances are, you’re going to get some response for your advertisement – and you’ll get some clicks onto your website due to the advertisement being clicked on. The cost that you will pay can be based on how many people view your advertisement (brand awareness strategy), or how many click to visit your website (PPC – Pay-per-click). Again, these values depend on the amount of traffic to either the third-party website, the number of followers you have on social networks, or the amount of traffic from the search engine for any search ‘phrase’. Referral links don’t usually last very long – and usually fade into the background after a short period. Any traffic generated from the source will also fade away. For any paid advertisement, the amount of traffic you acquire from the advertisement will (obviously) disappear once you retire the advertisement, or it has run its course. Paid advertisements in search engines usually take up the first three results – but many people have become aware that the first results are advertisements, and skip right past them to the ‘actual’ (organic) search results. When you share a link to another person, or they type in your domain name into a browser, this is considered a direct visitor. The link they click, or the address they type in, are a direct method of visiting your website – since browsers can’t “see” the source of the traffic initially. After the visitor ‘lands’ on your website, the visitor can then be tracked as they view your content – moving from page to page. Direct links don’t have any ‘shelf-life’ – and do not relate to search engines. A separate form of advertising that can reach outside the bounds of the search engine – and can be presented on other websites, is Google AdWords. In order to create an account, you will go to https://adwords.google.com and create your free account. You’ll be able to research keyword search volume, review how much a ‘click’ will cost your company, and many other metrics that will be invaluable to your company. But, as the interface can be a little confusing – you could end up spending quite a lot on advertising using this method. Since you pay two-fold, on a pay-per-click campaign – or through an ‘impression’ campaign – you could end up burning through a majority of your advertising campaign without any sort of target audience in place. If you only want to direct people to your website, you can focus on exactly what you’d like to pay for a person to click on your advertisement – and then set a budget for your advertising campaign. Note: If you click your own ad, you are spending your own money! If you can’t see where you can test your ad before launching your campaign, and make sure that it works – don’t click too many times, as you could essentially eat up your entire budget. When a potential visitor sees your advertisement in Google, and they click on the advertisement – you are paying the current rate for that single click. Rates are available in Google AdWords’ dashboard when you build your ad campaign, so there shouldn’t be any surprises in cost per click. If your business is in a low competition, low volume industry – each click might hover around $0.10 cost to your budget. In a highly competitive, high search-volume industry – you might run across clicks that cost above $50 each time someone clicks on your advertisement! When you establish a budget for your campaign, it might be a good idea to start researching your ‘conversion rate’ of your website, along with your average profit per customer, so that you can establish what your return on investment (ROI) will be during the campaign. I mean, it doesn’t make much sense to invest $1000 in Google AdWords per month if the outcome would be to sell ten more goldfish. On the other hand, if you are in real estate – $1000 per month could equal another house sold at a $5000 net profit, which you could then invest in more Google AdWords campaigns! If your business is just starting, and you’re not sure you need to get a bunch of random people to your website – you might consider advertisement that is called “Impression-Based” advertising. The sole purpose of this type of ad, is that you want the advertisement to hit as many eyeballs during a course of a week or two. Traditionally, an example would be a 30-second TV spot – which would serve over the course of a seven-day spread – equally to as many people as possible. The cost of this sort of advertisement is based on ‘inventory’, so with Google as an example – you could target the same high volume keywords – but would have to ‘outbid’ the next person. Another example of this type of advertising will be covered in the “Third-Party” section below. The whole experience with advertising on Facebook has changed throughout the years, but recently – the interface that you use has been improved to provide help hints, tips, tricks and even allows you to boost posts to gain more viewers. Each step of the way you’ll see helpful hints that will get you to spend more money at Facebook, but they provide the numbers that you need to see to make an educated decision. If you don’t have the budget to advertise on Facebook – I’m not so sure you’d have enough budget for any of the other options above! It’s inexpensive, and you can start very small with your campaign. The options to advertise to a targeted market is also extremely helpful! If you choose to advertise on a newspaper website, blog, video posting website (i.e. YouTube), there are a variety of options to choose from – but most of the above options will work until you start to get into video advertising, as you’ll have to create the content (video) that will run on their service. Newspaper ads usually have you build an advertisement (or they will have their creative department develop some ‘creative’ for you), but I would say that the most successful advertisements come from your own company. If someone you know can help you, or at least be a ‘sounding board’ for your advertisement ideas, you’ll be ahead of the curve. How do I make an Ad? Come up with a goal in advance, and create the ‘pitch’ (what are you trying to say?) for the advertisement. Start with a 300 pixel wide by 250 pixel tall space on your computer – which is nearly the same ratio as a piece of printer paper – and create your ad. Don’t make the text too small – as at a smaller size on a screen, it might become illegible. Use bright colors if they match your branding – just don’t be obnoxious. If your overall goal is to be obnoxious, use several contrasting bright colors that will attempt to give your potential visitors a migraine. Some advertising sources (newspapers, blogs) might allow you to use some basic animation, such as two or three ‘slides’ – served as a single, looping, animated ad. This can help to collect eyeballs, and draw people into clicking on your advertisement. Use animation sparingly, and don’t get too complex – as you want to leave the potential visitor asking for more information. If your entire sales pitch is in the ad itself, you don’t need to have them click the link for more information – and you’ve lost out on the reason for the advertisement in the first place. A good rule of thumb for a great ad, is to have it ask a question that you know they must click to get the answer. If you haven’t heard of WordPress – it’s one of the easiest ways to set up a website. Training on the use of WordPress can be accomplished before your cup of coffee gets cold, and the interface is simple and clean. There are thousands of ‘themes’ available online, which can change the look of your website in minutes, and plugins are available for nearly any feature that you’d like to see. Security and feature updates happen about once per-year (for free) – and don’t change the interface enough to notice anything even happened. There are still websites online that were originally built five to ten years ago, that are still running smoothly on the WordPress CMS (Content Management System). So, my suggestion – is to aim for WordPress as your software of choice. When you have the option to install WordPress – you’ll have to set a Username and Password for the administrator account (this stage is very different between providers, so I apologize for the vague nature of the following statements) so that you can log in and get to the WordPress Dashboard. The WordPress Dashboard allows you to add pages, upload images, access the page content (what shows visually on each page of your website) and edit your menu options. One of the greatest aspects of using WordPress for your website – is that there are thousands of people uploading tutorials in regards to using WordPress in a variety of situations. How do I add a “Theme” to WordPress? Jump over to YouTube – and search for Basic WordPress tutorials. You’ll be designing your very own website in no time! There are literally 100’s of tutorials on YouTube for each step of website development. As with any of the services on this website – I don’t want to overemphasize how important it is to realize your strengths and weaknesses when trying to accomplish these tasks, or learning this information. If you aren’t ready to tackle ‘setting up a hosting account’ – get in touch with a local provider who can assist you through these steps! If your eyes glaze over during this post, realize that this is the most important part of your marketing efforts – so you can get someone to help you build your website – and spend more of your available time on other marketing tasks! If you have any questions – contact me using the contact information on this website. If you are thinking about designing your own website, or even having someone from your family design it for you – please take a minute and read this analogy – and truly think about what you are about to do! Dentist – Option 1: You think you have the experience, pain-tolerance, and time necessary to handle your own dental work. The first step – is to try and numb the pain, grab a pair of pliers/drill – and start working. You can imagine how this option turns out in the long run. You end up having to hire a professional to fix everything you tried to accomplish. Dentist – Option 2: Hiring someone who really desires to be a dentist, but doesn’t want to take the leap into dental school – as they aren’t really 100% sure they want to be a dentist full-time. This outcome brings you a solution, but not the best solution for your needs. The next time you go to request help, they might not be there – especially in the middle of a holiday weekend when a tooth gets chipped and you need it repaired. Use this option carefully, as some small businesses might not be available next year… or the year after that. Catalog any work done on the project including reports, credentials (username/passwords), conversations, timelines, updates, and make sure that you can get that information delivered to the next ‘dentist’. Kind of like your dental record, this is valuable information that needs to be captured and stored in a safe place. Dentist – Option 3: Hire a good dentist. Although this sounds easy, it’s like the web design conundrum – How do you find a good dentist? Do some research online, read reviews, try them out for a small service – and expand on the findings. Talk to your friends or business colleagues, and if still have doubts – ask their customers. Talk to other companies in their portfolio. There shouldn’t be any mystery if you talk to someone who had worked with them before. If you like the dentist, they are professional, and the price/level of service are both acceptable – you shouldn’t ever have to search again. The warning signs are also like a dentist – in that you would expect to have a clean presentation, organized tools, punctual schedule, quality services, and a clinical approach to documentation. Although the price is higher than a DIY project, you will find comfort in dealing with a true professional company… or dentist. The purpose of this analogy should be fairly clear – you shouldn’t skimp on the price, as it’s directly tied to the professionalism, experience, and accountability of your provider. Am I right? Website Option 1: If you have the time and patience to handle the website design yourself, by all means – go for it! It’s a very good experience – and you could be very glad that you took the initiative to get it done. If you doubt that you have the skills, patience, or time necessary to handle the project – or are simply too busy to get it finished (or started, for that matter) – reach out to a local web designer, and visit with them about helping for a small fee. Establish your budget – and work within those limits. Website Option 2: If you have a small budget, but are concerned about doing the work yourself – you should reach out to someone you trust (either a local small business, a friend of the family, or another resource) to get it moving for you. This also goes for small businesses who have a website online, but are disappointed with the service that they have received from a DIY provider. If you try to get answers from your provider – but they reply with shady answers, or the answers they provide appear to be purposefully vague or overly complicated – it might be time to tell them to ‘dumb it down’ a bit, or you’ll have to look at another provider. Website Option 3: If your business depends on leads from your website – it’s very wise to think of your website as an investment. If you’ve already started on the road to building your website, with little information from a professional – please, stop and contact someone who can get the job done for you. When so much is riding on such a small investment – it doesn’t make sense to try and accomplish the website yourself, especially when you can get all the metrics/analytics from the website – as handled by a professional. It seems like Do-it-Yourself companies are sprouting up overnight, with new creative names – and attractive ‘template’ based designs to choose from. These companies advertise the ‘easy way’ to get your idea online – and for the most part, they are right. You can have a website online in as little as ten minutes for most of the providers listed in this section. POSITIVE Ownership – You are in control of your website, and don’t have to worry about what will happen to your data, pictures, writing, and in most cases – you have a (somewhat) easy to navigate portal to edit the website. You don’t have to worry about ownership much – because you are paying someone else to own it for you. They have to guarantee the website will be available 100% of the time, and you have the right to drop the website completely – and go with a different provider. For the most part – all you have to do, is worry about the price and length of contract. They will handle everything else for you! NEGATIVE Ownership – if you use one of the services above, make sure that you own the domain and content that you put on the website before you sign a contract. Future ‘you’ will be glad you asked, as you may develop a great website that is mobile-ready, responsive, full of fantastic content – and the provider will then hit you with a bill that is staggering to say the least. You grumble and complain, but the fact is – you don’t own the content on the website, so you have to pay the bill – or lose the content completely. They don’t mess around with this – as they have an army of lawyers that will show you exactly which part of the fine print specifies that they can do what they want. So, either you lawyer-up – or you submit your payment. Verify ownership of your content. A good way to go about owning your own content/website – is to use a service like WordPress.com – or focus on building your Facebook page. Although you still don’t ‘own’ your Facebook page, and have 100% less control over the visual design of the page – at least you have a network of individuals who can find your information – and a relatively easy interface to work with. WordPress on the other hand will give you the tools to create a website that can be run by a beginner or advanced user – allowing a multitude of plugins, options, security features and much more. POSITIVE/NEGATIVE Sales Service & Customer Service – the providers above do not specialize in customer service, but you’ll find that the sales staff is very well trained. They hook customers into long contracts, and then exploit those contracts when they want to. As far as customer service goes, they will point to different locations, send you tutorials, and lead you to ‘self-service’ portals – but the truth is, they just want you to continue paying for your service. If you stop paying, that means that you aren’t a customer any more – so they care even less. Additional options/features (contact forms, click-to-call, tracking/analytics) will also cost more than your basic package, which is already insignificant. If Visitors came from Search Engines (organic), Direct (clicking a link), or Referral (from another source on the internet). You’ll see more information about these types of links later in the book. NEGATIVE Analytics – each of the options above will provide a fairly easy to use portal where you can see your ‘clicks’, ‘visitors’, ‘leads’, etc. But (and this is a BIG but) – they won’t give you specifics on where the information comes from, or even give you advice on how to capitalize on the values brought by the metrics. They will provide you with a phone number for ‘tracking purposes’ – but the fact is, they are in full control over the number – and all of the calls associated with the number itself. If you’re paying per caller, you need to start thinking about where the calls are from. If you’re paying because they show you have 80 clicks per month, start thinking about where those clicks are coming from as well. Be suspicious – as you can become dependent on numbers, especially when they are presented by a company who is defending themselves during a ‘contract resigning’ period. POSITIVE Contract – Having a contract doesn’t necessarily mean you’re hooked into a deal, and you should dread paying out for the next 6, 12, or 24 months. The contract itself can be a positive – as you can use it to leverage service for your business, especially in the beginning of the contract. Get what you want from the provider – and visit with your provider when you need additional services. If you want more images on the website (or foresee this being a recurring task in the future), make sure that frequent updates are included in the contract. In some instances, there could be a variety of bonuses when you resign with a provider – including discounted rates, services, and other perks. NEGATIVE Contract – Many of the providers are sustained by resigning contract holders to additional periods of time. If they have 10k contracts on the books, and 50% resign – they’ve made an additional 50% for the next year for no recordable work. When you negotiate a contract, do not sign unless there is a deliverable on the table – included in the print of the contract. If they do not meet that deliverable, you need a course of action – but most times, the provider will wait until the last possible moment to send the next contract, stating the urgency involved. “Resign by Jan 1 to avoid website shutdown”, which you receive one week prior to your website being flushed. You don’t have any time to come up with a plan, let alone actions to fulfill said plan. They have you on the ropes, and they know it. When you do sign a contract (with deliverables) set the expiration date in your calendar, with a couple months left over to contact them and ensure they are delivering on their promises. POSITIVE Overall – You have your own website, and although you might have to put some time aside to get it functioning, you have a lot of control over the message and branding of that website. Each and every bit of information, and the display of that information will have your personal stamp of approval. NEGATIVE Overall – Your website might not be 100% what you want (or need), so you’ll always have to think about the success of the website. If you have any changes or alterations/updates that need to be done – you should do them yourself. If you have a member of your office that is a little tech-savvy, you might be able to delegate the task – but you are distancing yourself from the reason why you built the website yourself in the first place, which was to either save money – or have more personal input into the design. So, after all the POSITIVE & NEGATIVE comments that I’ve gathered together – you should ask yourself which option makes the most sense with your desired outcome. Too many small businesses look for the ‘easy & cheap’ way to get a website online, or any of the Do-it-Yourself options available. Before moving on to the next chapter – I’d like to provide some simple math to help explain what happens with a DIY website project, from the very small details to the big picture. When you make the decision to create your own online presence, it’s seen as a commendable effort. You are saving your company money, and in the long term – you see the benefits of not paying yearly expenses for those services. Although building your own website will look more attractive on paper, you must realize that your time is worth more while occupied with your regular operations. If you spend only one hour per day for two weeks on your website, you’ll find that you’ve spent a total of 10 hours online creating, uploading, learning, and frankly – getting highly frustrated. Creating a website for your own business is more difficult than it sounds! So, if you charge (guessing here) between $75 and $150 for your time while working on your day-to-day operations, you are spending between $750 and $1500 to build your website. You can justify these costs as being ‘write-offs’, or expense the time to overhead – or simply don’t record the time at all – but if you were to focus on bringing more income to your business – instead of worry about exactly how your website will appear online (because, you aren’t a web developer), you could have brought in enough money during that time (in billable hours) to be able to pay for a professional to create a much better, more efficient web experience for your potential customers to visit! © Digital Outfitters 2019. All rights reserved.